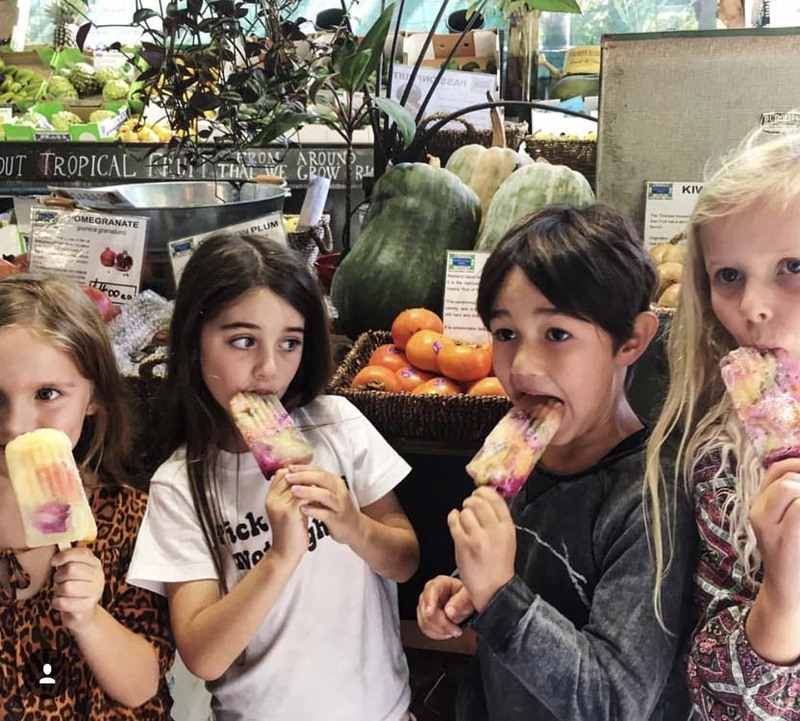 We've compiled a list of our favourite, simple and inexpensive things to do with the kids on or around the Gold Coast, Queensland. We loved recently re-visiting this childhood favourite with our kids! The giant waterslide is a highlight and runs down a beautiful grassy hill. Grab a mat and go! It’s a damn good work out and hours of fun for mother/father/granny and bebe! Plus, there’s a fun wading pool for the little ones, a 50m lap pool and diving boards, too. Check out the old school lolly shop and a grassy lawn with draping trees and barbecues so you can grab a spot and stay for the entire day. Casual entry is just $5.20 and kids under three are free. A hot shower at the end of the day will set you back 20 cents. The whole family can experience the Gold Coast’s best fashion and lifestyle market. There are beautifully curated market stalls to suit every taste. 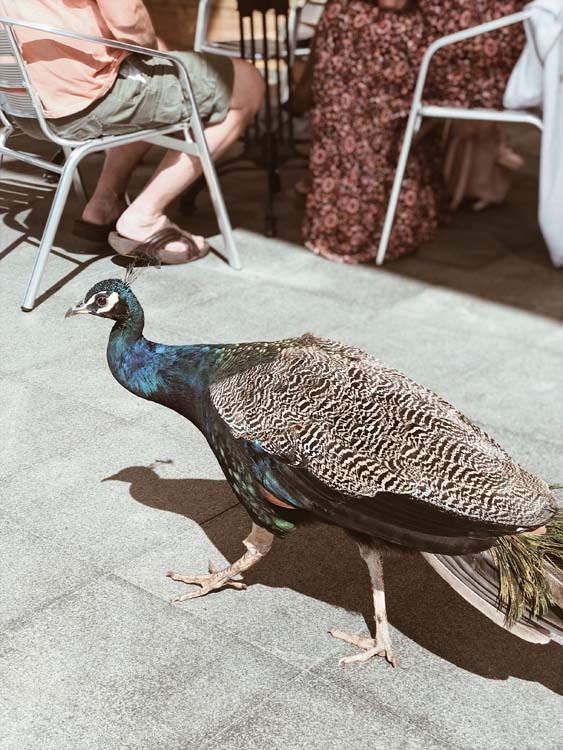 From fashion [labels such as Peony Swimwear, Kivari and Children of The Tribe all started out at TVM], vintage, art and homewares, as well as the much-loved, pre-loved designer and vintage Rack Sales, coffee and a range of delicious street food stalls. There is free live music on the grass [Ziggy Alberts started out playing here], so you can grab one of the Mexican blankets provided and stay for the whole morning. 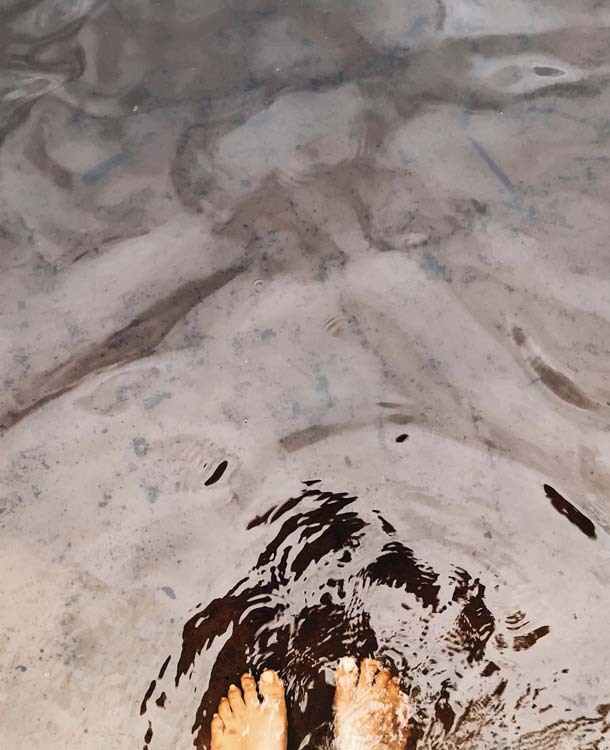 It’s great to connect with local Gold Coast creatives and makers and is totally family friendly. A cute market to try during the week is Currumbin Community Markets which are held on Thursday mornings, near the RSL. 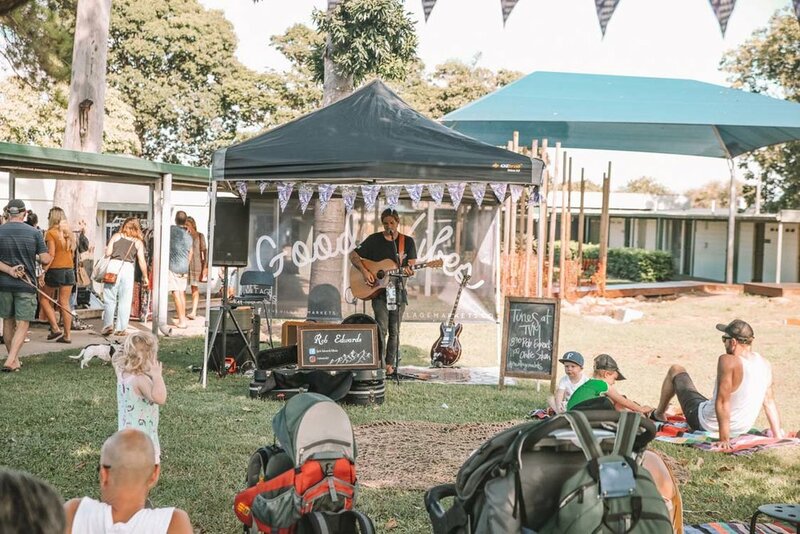 You will find some very family friendly live music, breakfast options and Blackboard Coffee as well as a handful of local produce market stalls. Take a bushwalk with your kids, pack a backpack with a notebook and let the kids journal what they see along the way. We also took photos so my art obsessed six year old could make a book filled with images and words after our walk. Pack your cossies and taker a dip at Echo Beach after your adventure. 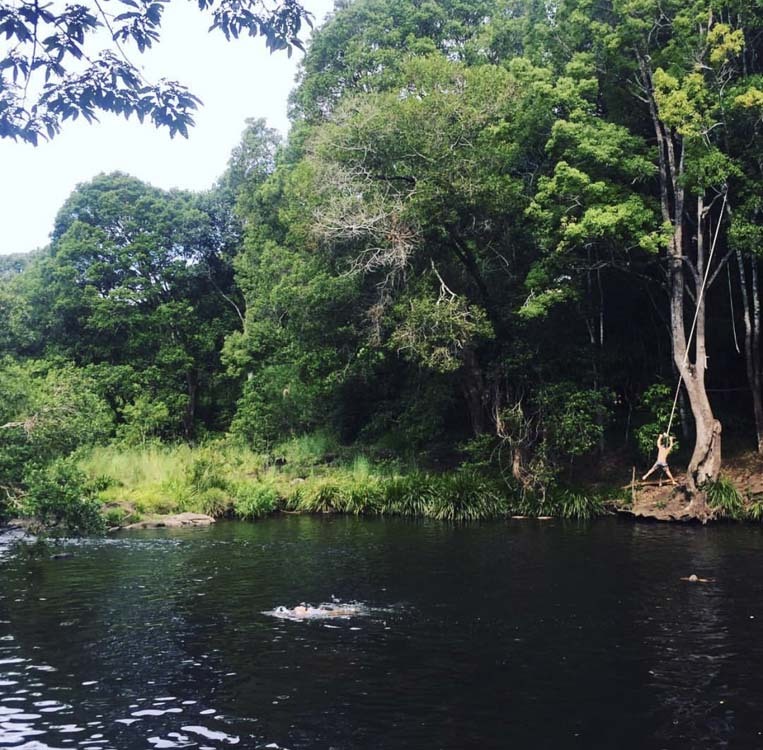 Protected from the wind and swell and shaded by native trees, Echo is an idyllic and safe spot for a swim, SUP or a picnic. Thanks to Instagram, Echo’s staggering natural beauty has earned it legions of fans, so be sure to pop down early to secure a car park and have the place to yourselves – for a while at least. Our kids are obsessed with scouring the rock pools for creatures and shells, and climbing the trees that line the shore. If you’re keen for a little culture, you can also pop into Jellurgal centre to discover more about the Aboriginal heritage of this land. 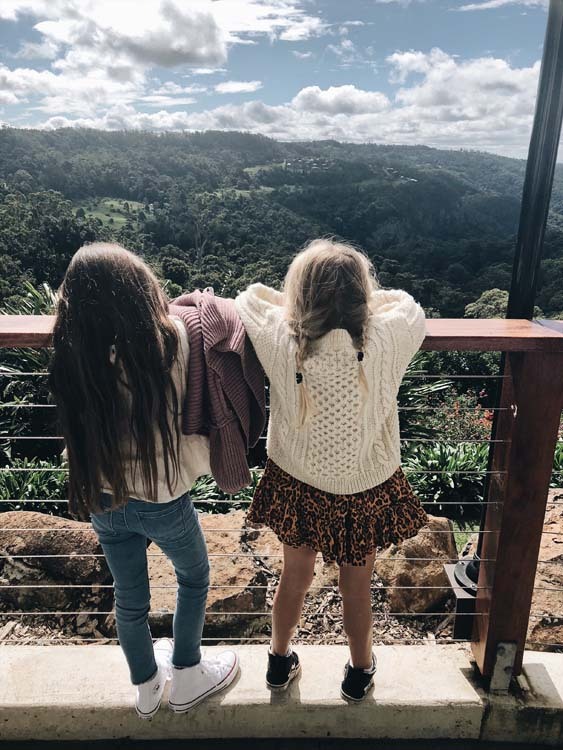 Run by one of our gorgeous friends, creative extraordinaire Rach, this little picturesque gem in Palm Beach hosts school holiday craft workshops for kids, as well as Mum and Cub craft mornings. There are also some amazing workshops for the adults, if you can manage to sneak away. On a slightly cooler day, it’s always fun piling in the car and heading 30kms up the mountain. With its quirky stores, fudge and sweet shops and teahouses, this mountain village seems worlds away from the Gold Coast’s surf culture. 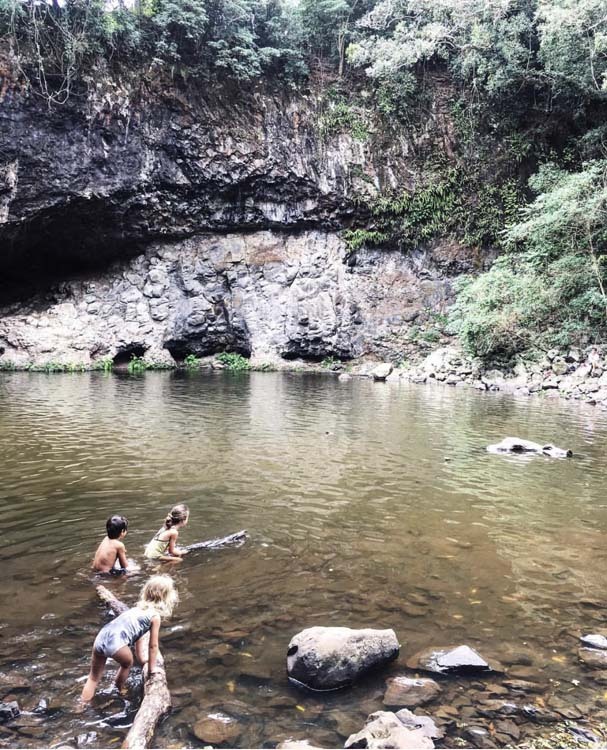 The glow worm caves are a hit with the kids, including the Jolie-Pitt brood, who took a 40-minute private tour of the purpose-built cave while Angelina was filming Unbroken in Queensland. A 30-minute guided tour is just $12 per adult and $6 for kids four and above and you’ll see thousands of glow worms and learn about their life cycle and behaviour. After your tour, head down to Frog Hollow to check out a complimentary exhibit featuring native frog species and other insects. The nearby Fortitude Brewing Co is a good spot for lunch and has a cellar door for craft beer lovers, gourmet pizzas, live music on Sundays and shares the premises with Witches Chase Cheese factory and Long Road Bistro. For a hearty lunch, the heritage St Bernards Hotel boasts killer views, a fireplace and hearty fare. If the kids still have energy to burn, there are six relatively easy walking tracks within the Tamborine National Park. Another option whilst on the mountain, is Thunderbird Park. The newly opened Tree Top Challenge for kids was a hit for our family, plus there is an adults course too, as well as horse riding, you can fossick for thunderbird eggs at their working mine, play mini golf and a there's cafe too. There is also a campsite and lodges if you want to stay for the weekend. We were so pleasantly surprised by this place (formerly Avocado Land when we were kids) and will be planning another trip back these school holidays! On arrival, you experience an educational talk about the native fruits and their medicinal benefits and sample their local produce. The kids (and parents) loved learning more about the different types of fruits, particularly the chocolate fruit – yum! 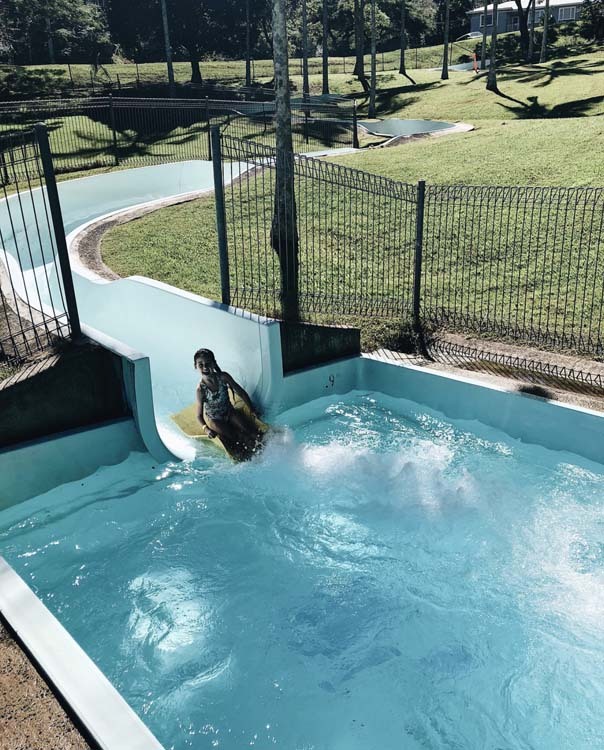 From there, you’re taken around the property to a range of different stations where you can pick bananas, crack macadamia nuts, feed the farm animals, board a boat where you can feed the ducks and explore the land by water. Then it’s over to the kids’ area where there is a cute mini train ride, flying fox (a fave for our tribe), wooden playground and mini golf. At the end of your day, you can purchase some delicious local fruits from their market stall, or sample homemade ice-blocks. Grab your scooters, bikes and skateboards and head to Currumbin beachfront for a scooting session, followed by an Acai bowl or pastry from The Salt Mill. You can get takeaway and sit on the grass, where the kids can play on the sand or climb trees. In September, SWELL Sculpture Festival is on, which means the whole esplanade is filled with interesting art pieces and there’s live music (and ice cream), a favourite time of year for lots of local families. The beauty of the Gold Coast is you can go from beach to bush within 30 minutes. For a scenic drive, we love Freeman’s Organic Farm at Currumbin Valley where the air is clean, the produce fresh and the vistas spectacular. Enjoy a coffee and a cake from their farm café [open Friday, Saturday and Sundays] and soak in the views to the north and down into the valley. The kids love picking their own produce from the farm stall, and chatting to the farmers about what's in season. Drop Farmer David a line here to join a guided tour and learn more about this 103-year-old family fruit and vegetable farm and its rich history. Times have changed and the movie of choice for us was Peter Rabbit! However we were all so excited to experience this good old-fashioned drive-in together. The kids LOVED it and are still talking about it. Bathed and in their PJ’s and Uggies, with doonas, pillows and an Esky in the back, we were set. There is an old-school diner and lolly shop there so you can stock up on snacks for the movie (or BYO). Tune in your radio and snuggle up! We paid $50 for the car (2 adults and 2 kids). The Byron hinterland is such a food bowl and there are some seriously good cafes and restaurants sprinkled throughout the lesser-known towns. Our all-time family favourite is DOMA Café in the tiny village of Federal, in the lush Byron hinterland. Serving up fresh Japanese “country-style food” in a pretty garden setting, Doma is the perfect place to enjoy a relaxing lunch while the kids run, climb trees and chase the resident chickens. The sushi, miso, salads and Japanese dishes are so delicious or for something heartier, their haloumi burger never disappoints. We often grab some beers or vino from the little general store, as Doma is BYO. In summer, we love to cool off in the nearby swimming hole, which has a rope swing and cascading rock pools. 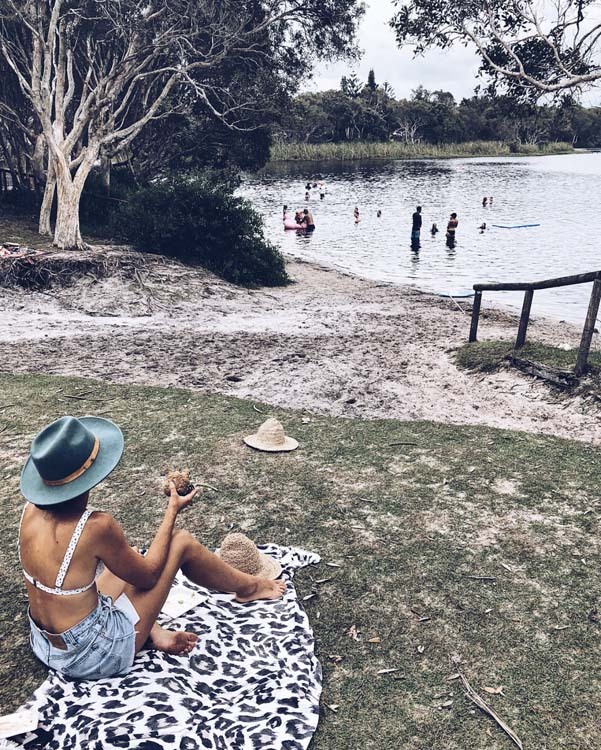 Sipping a coffee (Bam Bam at Tallebudgera or The Salt Mill at Kingscliff) and taking a dip in the aquamarine creek is one of our favourite ways to spend the morning. Bring some snacks, as there are plenty of trees to climb and a park for when you’re done with the sand. Kingscliff Creek is fun for a bridge jump on high tide – if you are game. 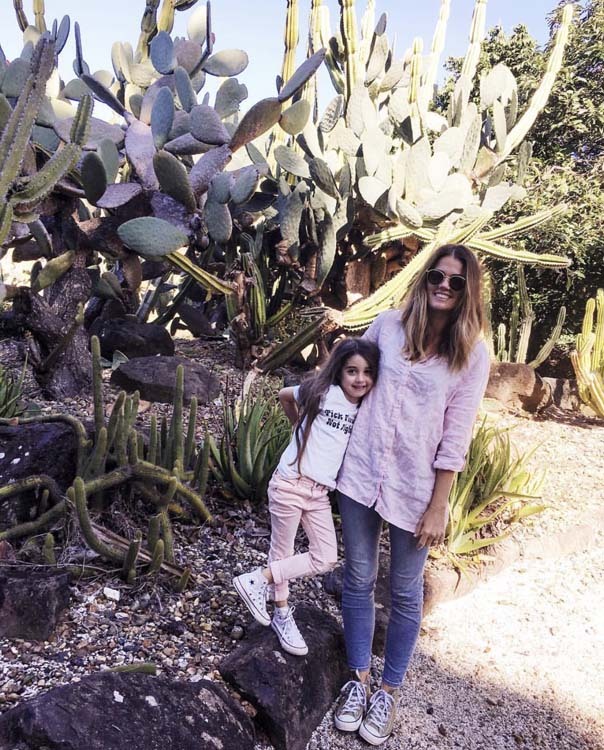 We love the northern New South Wales town of Brunswick Heads for a weekend away with our tribes. The town’s Fairy Trail is an absolute winner with the kids. Grab a map from The Visitors Centre on Park Street and follow the kids as they search for fairy houses hidden around town. Magic! Our kids love jumping off the old bridge into the Brunswick River on high tide. More on Bruns, here. Check our post, here for our tips. 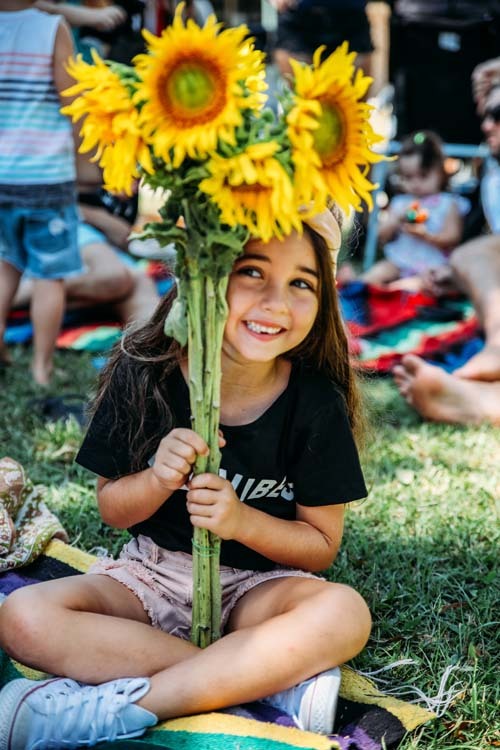 Grab a coffee, crack macadamia nuts, pick your own sunflowers, wander the grounds and pickup some fresh produce from their roadside market stall. 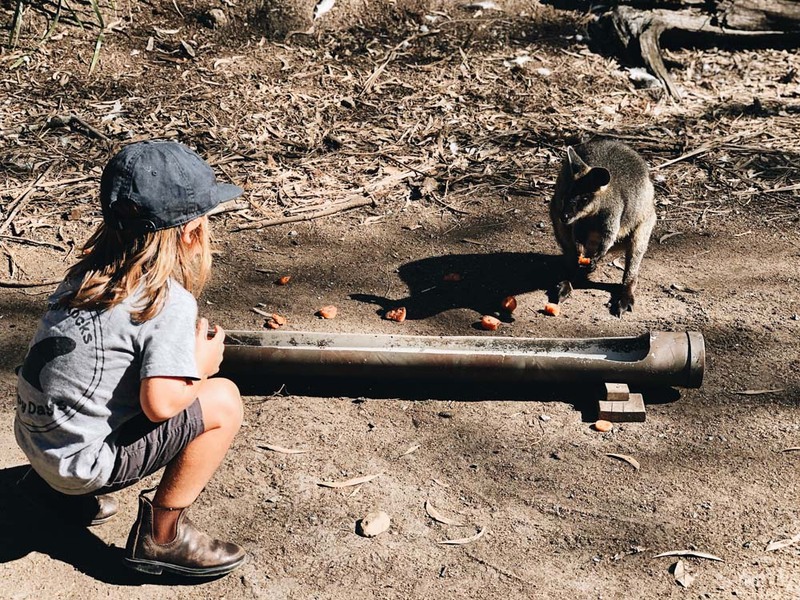 Currumbin Wildlife Sanctuary may be a tourist attraction but it's still the number one requested local destination for our nature loving kids. The lesser known David Fleay Wildlife Park is a quieter option for those looking to avoid the crowds. We have only recently found out about this little hidden gem. It's free, the surroundings are beautiful and we kind of loved the basic, no frills charm. Only ten minutes drive inland from Nerang, this old mill is home to bunch of cute animals such as alpacas, deer, a pig, goats and chickens. 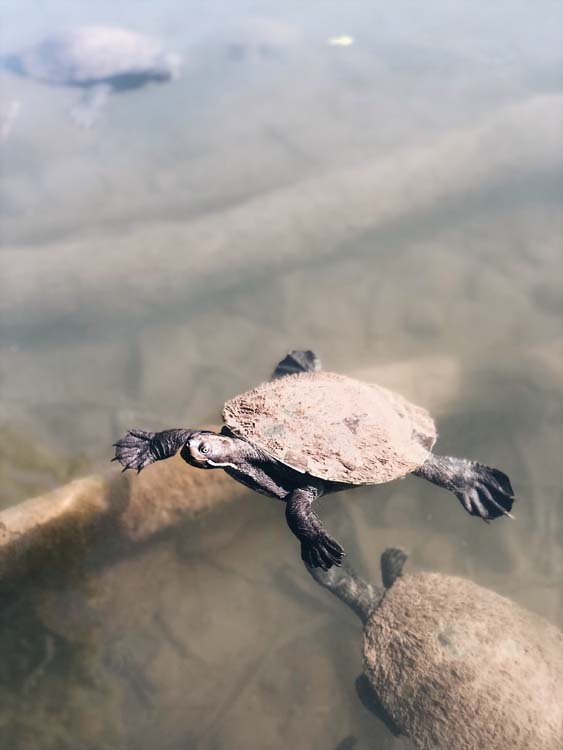 A highlight for us was the beautiful river which is filled with friendly turtles, who swim up to greet you as you sit on the wooden pier. There is plenty of open green space and a cafe which is open for breakfast and lunch. Take a day-trip to Lennox Head, swim in the tea-tree lake, try one of the cafe's in the area (Shelter looks great) or you can grab takeaway from the cafe under the Lennox Head-Alstonville Surf Club (we had the haloumi burger) while the kids play. If you have a 4WD you can drive onto Seven Mile Beach from this point too, so pack the esky and spend the afternoon on the sand. There are some amazing natural waterfalls within an hour or two of the Coast, some favourites include Springbrook, Killen Falls, Whian Whian Falls and Minyon Falls. If you have any favourite spots that we have missed or you want to let us know about a hidden gem, we'd love to hear from you!